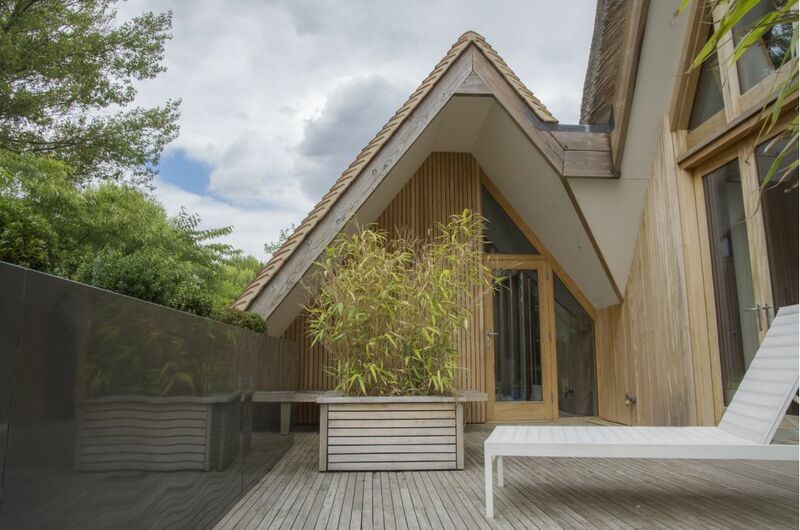 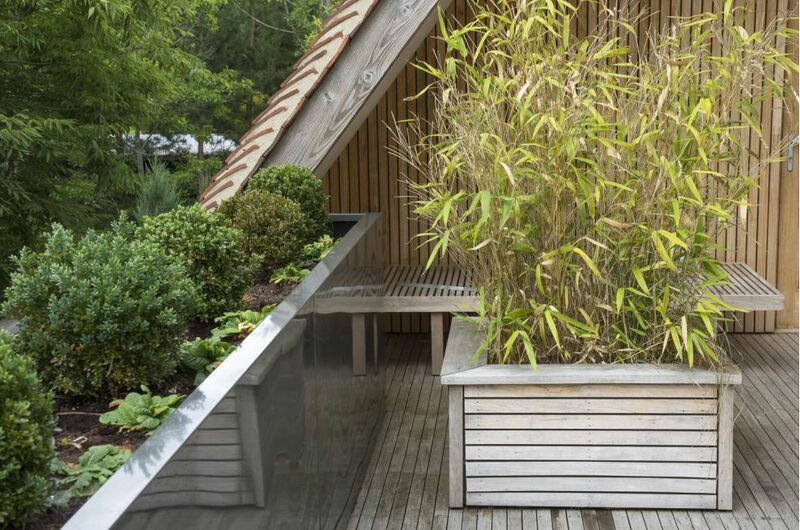 A large, L-shaped steel planter was commissioned for a fine artist’s private residence and studio in the Cotswolds. 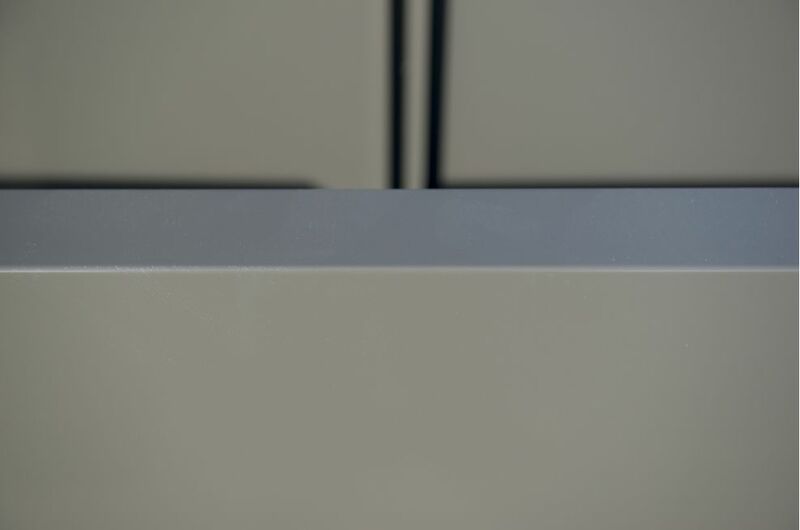 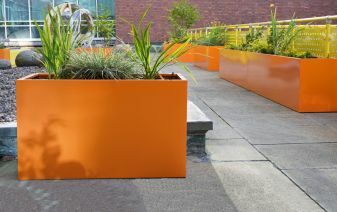 The planter was manufactured from 1.5mm Zintec steel, polyester powder coated to RAL 7022 [Umbra grey]. 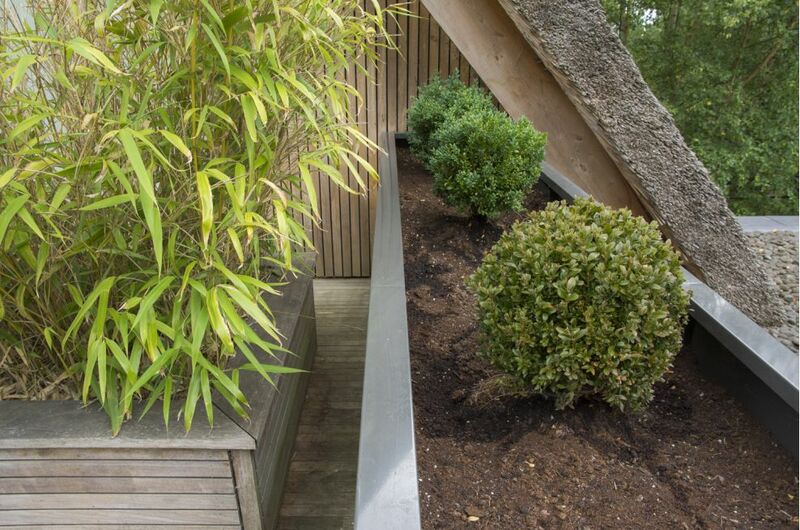 The planter forms a continuous, L-shaped perimeter to a decked terrace, of overall length 10860mm. 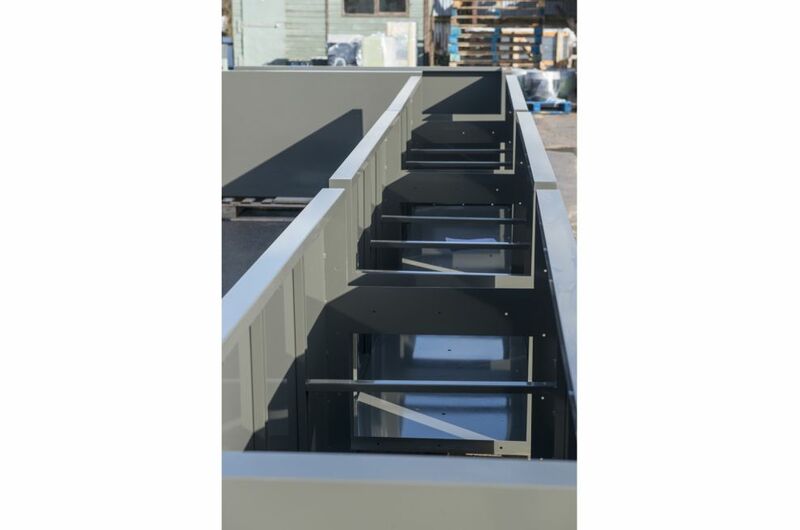 The complete planter was supplied in a total of 5nr. 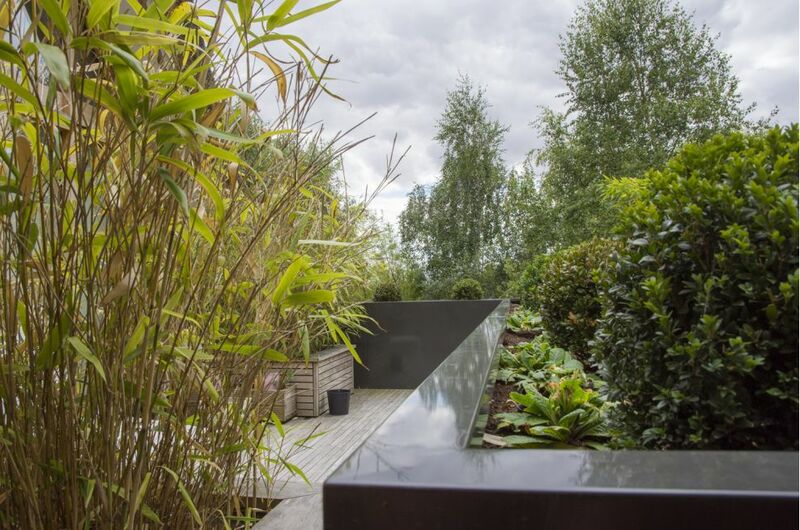 sections; and the sections were designed to be joined together on-site below the soil level, so that the surface planting would appear visually continuous along the entire 11m run. 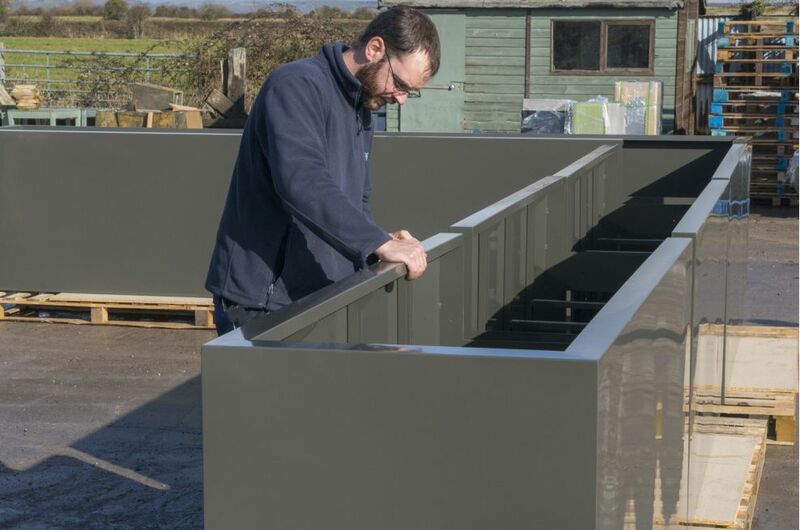 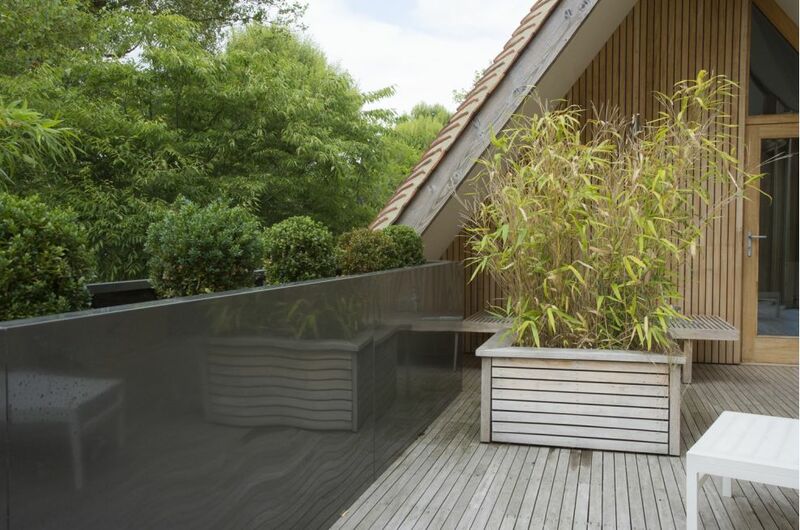 The client wanted the planted perimeter to be both secure, and to create a privacy screen; so the steel planter commissioned was relatively massive, being W 700 x H 900mm. 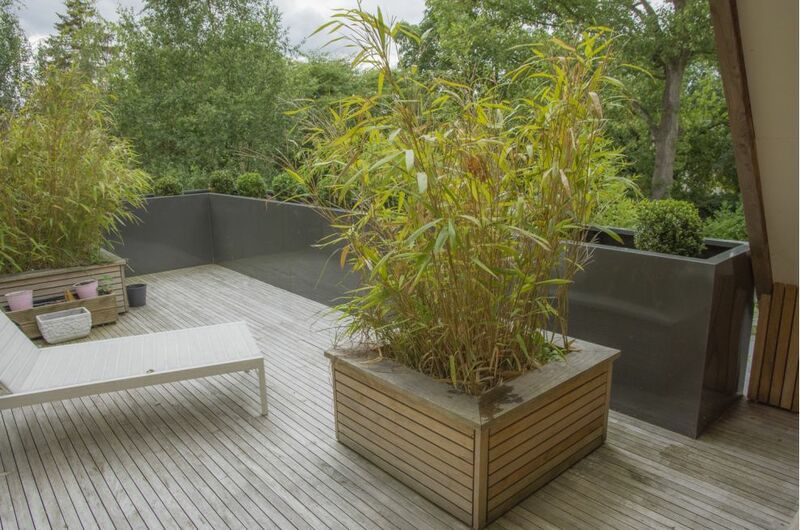 To reinforce the feeling of solidity, the client specified a 70mm wide rim to the planter; and the scale of the planter required strengthening via an internal framework of vertical stiffeners and cross-braces.